The International Conference on Theory and Practice of Digital Libraries (TPDL) constitutes a leading scientific forum on digital libraries that brings together researchers, developers, content providers and users in the field of digital libraries. TPDL 2016 will take place in Hannover, Germany on September 5-9, 2016. The conference will be jointly organized by the L3S Research Center and the German National Library of Science and Technology. 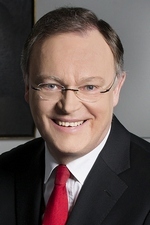 TPDL 2016 General Theme: "Overcoming the Limits of Digital Archives"
The Organizing Committee is glad that the Prime Minister of the federal state of Lower Saxony Stephan Weil has kindly accepted the invitation to be the Patron of TPDL 2016.